Karnataka Directorate of Minorities invites online applications for Free Hard Skill(Welding Technology) Training to Minority Students for various Skill Development and Entrepreneurship and Livelihood Courses for the year 2018-19. ** Students should be a citizen of India and domicile of state of Karnataka. ** Minimum age limit is 18 years and Maximum age limit is 35 years. ** Student should belong to Minority Community. 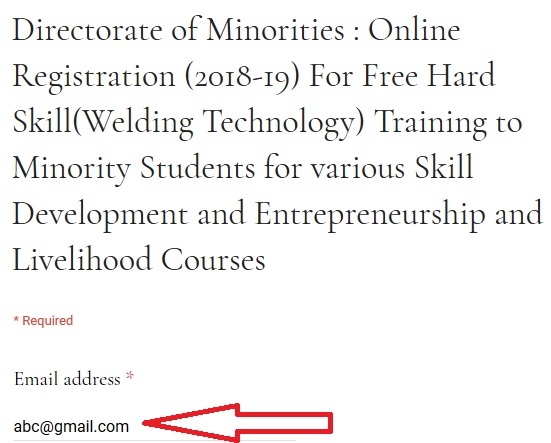 Step 2 : Then click on the “Online Registration Link for Free Hard Skill(Welding Technology) Training to Minority Students” under latest news section. Step 3 : Next enter your Email address to proceed with the registration. 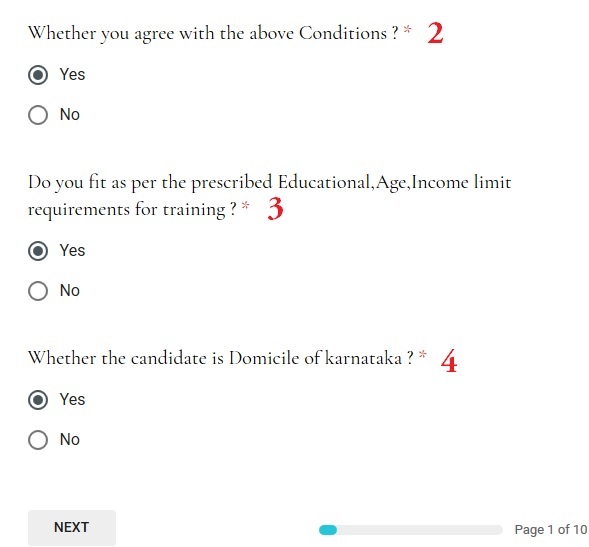 Step 4 : Fill the required details to complete the registration. ** Can avail the details of eligibility criteria on our website for educational requirement for training. ** Each and every candidate from training institute will be insured during the training period. ** 2 1/2 months to 3 months of training will be given depending upon the sector and name of the course. ** Candidates will be having an option to select the Sector and course as per their interest. ** After completion of Training program, certificates will be provided to the candidates signed by the concerned institute and Director,Directorate of Minorities. ** If any of the information or documents/income & caste certificate submitted by the students are found to be false at any stage then the strict action shall be taken against the applicant and the amount spent on the trainee shall be collected from him/her. Last Date for filling & submitting online application form along with the required document is 31-01-2019.